We would all like to sell more, be it SEO services, leads, or goods and services. Here are a few ideas for prospering in a down market, by increasing sales. When times are tough, everyone is under pressure to cut spending. Most of your customers will likely fall into this camp. 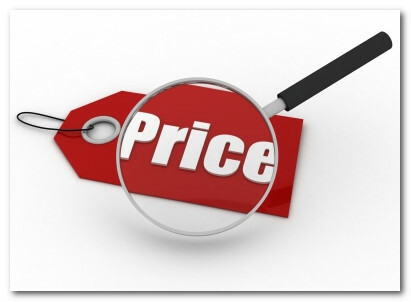 What do you do if your customers are using price as a means to pick your competitors over you? One way is to cut your pricing, too. Whilst this may work in the short term, it is likely to be a poor long term strategy for a small business. It's a poor long term strategy because there will always be someone else prepared to undercut you. Your margins shrink, and only the most ruthlessly efficient or largest operator, who can scale on tight margins, is going to survive. Another way of looking at this problem is to increase value. Think about ways you can offer your customers more whilst retaining your cost structure. If the customer is made aware of your extra value, then you price may look cheap compared to your competitors, even though you haven't been forced to drop it. Delivery is everything. Say what you'll do, then do it, then tell them you've done it. It's probably one of the most effective sales methods there is, as it invariably leads to repeat business. Getting repeat business is much cheaper than getting new business, as you already have an open line of communication. By delivering what you said you would do, your value to the customer has increased. 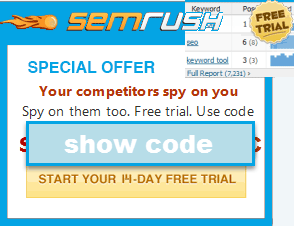 They no longer have to spend time comparing and contrasting the offers made by your competitors. Even if they do, the customer still faces the risk of dealing with someone with an unknown track record. That risk is an added cost. To extend your customer base, you often have to advertise and market. Expensive, obviously. However, you could "acquire" someone else's customer base simply by partnering up. For example, if you sell SEO Services, it might be a good idea to partner with web designer agencies. You get access to their client base, and they get access to to an add-on service they can sell. They may even sell your services for you, giving you more time to focus on SEO, rather than selling. Are you good at sales? Good at closing deals? Personally, I hate doing it. Sales is a bit of an art. The people who are good at it tend to have a mix of qualities that take a long time to develop. They have built up a reputation, a network and trust. They work on deals all the time, knowing how to handle objections, and make the deal. Given we're in a down-market, there will be a lot of good salespeople looking for work. Why not look into hiring one? Are there sales people available who will work on commission for you? The next best thing is to build your own personal network. Someone knows someone who needs what you've got. It's easier to sell to them if they are already aware of you. Hustle. Social media, conferences, speaking at conferences, meeting up with people, attending events indirectly related to your field of business, etc. Good business people also tend to be good networkers. Business really is mostly about who, not what, you know. A friend of mine uses the following guarantee. He says if the customer is not happy with what he does, they can walk. At any point, no questions asked. They don't owe him anything. This may sound generous, until you realize this is merely a reflection of what would happen anyway. He operates a small business, and he works with large government clients. If the clients think his work is unsuitable, after they've signed, they would likely view it as a breach of contract, and put their lawyers onto him. He knows he would be unlikely to win such a legal fight, nor could he afford it. His guarantee sounds very reassuring to the client, however. It sounds to the client like there is no risk for them. This is why guarantees work wonders. At the back of every clients mind is the fear they'll be ripped off, or fear they will look foolish if they buy from you. A guarantee helps eliminate this universal objection, and close the sale.